Investing is a great way to build your wealth and, depending on the investment, can be lucrative. While many people are aware that investing can be very beneficial, there are some who are unsure what the best investment is and what will help them out the most. There are so many different things you can invest in, from stocks and bond to cryptocurrency and gold. The options are endless, but knowing what the best option is poses a challenge. What is the right investment for you? What type of investment will continue to grow year after year? Stocks may offer big returns to experienced investors who know what they are doing and what should be invested in, but the stock market is completely out of our control, making it a risky investment. If you know what you are doing when investing in stocks, you could see high returns, but understanding the stock market is the tricky part. But there is one type of investment that offers good returns and is controlled by your directly. According to The Balance, real estate investing is one of the oldest forms of investing. There are many different ways to invest in real estate and many ways to make money through real estate. At Atlantic Property Management, we can help you make your Atlanta real estate investments go further, make you more money, and help you build your portfolio. We know how beneficial real estate investing can be and our knowledge of the business and the market can help us make your successful. If you are interested in getting started in the Atlanta rental property business, or you have been in the game for years and need help managing your properties, we can help. What are the different ways you can make money through real estate investing? Keep reading to find out! As we already mentioned there are many benefits to investing in real estate in Atlanta and many different ways to make money from it. Tax advantages: depending on the type of real estate property you own, you can find tax incentives that can help you out. Cash flow: once the rent is collected, the mortgage, taxes, insurance, and other repairs are paid for, the leftover money is cash flow, basically giving you a second income. Hedge against inflation: when inflation increases, the dollar does not go as far as it should, especially in investing. But when you invest in real estate, as the inflation increases, so does home values and rent. Leverage funds: unlike stocks, which need 100 percent of the investment up front, properties can be purchased with leverage. This means you can pay less right away and possibly take part in multiple real estate deals at the same time. Equity: if you borrow money for a property, you will have to pay it back with interest, but as you do so, you will get closer to paying down your principal payments. While doing so, you will also be building equity and wealth in the property. In a previous blog, we discussed the benefits of owning a rental property in Atlanta. Which includes many of the things listed above and some. These are a few of the many benefits to investing in real estate. Depending on the type of real estate investment you make, you can enjoy different benefits. One of the most common types of real estate investment is rental properties, but there are other ways to invest in real estate. 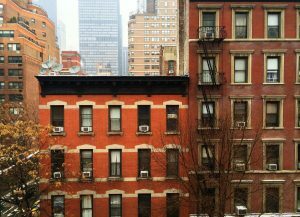 Read on to learn more about the different types of real estate investments and figure out which one is best for you. Since rental properties are the go to when it comes to real estate investing, we will cover it first! Rental properties are a great way to make extra cash without any worries. When you are renting a property, you want the tenants to pay enough to pay the mortgage, taxes and cost of maintenance. When looking for a property to purchase and rent out, you want to find one that has a monthly mortgage payment, home insurance payment, and property tax payment that is less than the rent of the property. According to The College Investor, one way to do this is to put a lot of money down so the mortgage payments are lower, another way to do this is to buy in an area with high rent rates. Purchasing a rental property in Atlanta can be pricey at first, with a lot of money required up front and many repairs and maintenance issues to be taken care of. If you have extra money to invest, this method will pay off in the end, but it may be a challenge right away. 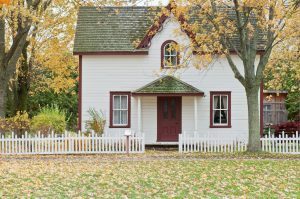 Many people have skipped this step by moving out of their old home, but rather than selling their home, they make it a rental property. This way, they don’t have to find a new house to purchase and put a ton of money down right off the bat, plus their repairs and maintenance is lessened, since they have lived in the home and made required fixes throughout the years. Tenants are another issue. Finding the right tenants and dealing with bad tenants can be challenging, but when Atlantic Property Management is on your side, dealing with tenants is no longer a problem. Investopedia states that real estate investment groups are like small mutual funds for rental properties. This is the perfect real estate investment decision for those who want to own a rental property but don’t want to worry about being a landlord. A company will build or buy a block of apartments or condos and then allow investors to buy these properties. You can own one or several units but the company manages the units, does maintenance, fills it with tenants, and advertises the vacant units. There are a few different types of REITs, including equity, mortgages, and hybrid. All three of these types offer high yields, meaning that the interest others are paying on their mortgages will get paid back to you. This type of real estate investment is perfect for those who want to get involved but have no time to actually do it. These are the big ways to invest in real estate, and while each method is different, each offers different benefits, and requires different levels of effort. They can all be extremely beneficial. If you decide to buy a rental property or are adding more properties to your portfolio, let us help. Our property management company can make your real estate investment go further and make the entire process easier for you. Get started today and contact us with any questions.